In this Independence Day on the 4th of July, CNN Interactive is showcasing a natural wonder in each of the 50 states. CNN's choice of amazing natural wonder in Nevada is the Valley of Fire State Park, USPS also issued a Nevada Statehood Forever Commemorative stamp on May 29, 2014, featuring a view in the Valley of Fire State Park, to celebrates the 150th anniversary of Nevada Statehood. When President Abraham Lincoln needed another Republican state to help support his anti-slavery policies in Congress, people in Nevada answered the call and voted to join the Union, even the population in Nevada back then was not big enough to form a state. Nevada was admitted to the Union in 1864, during the Civil War. 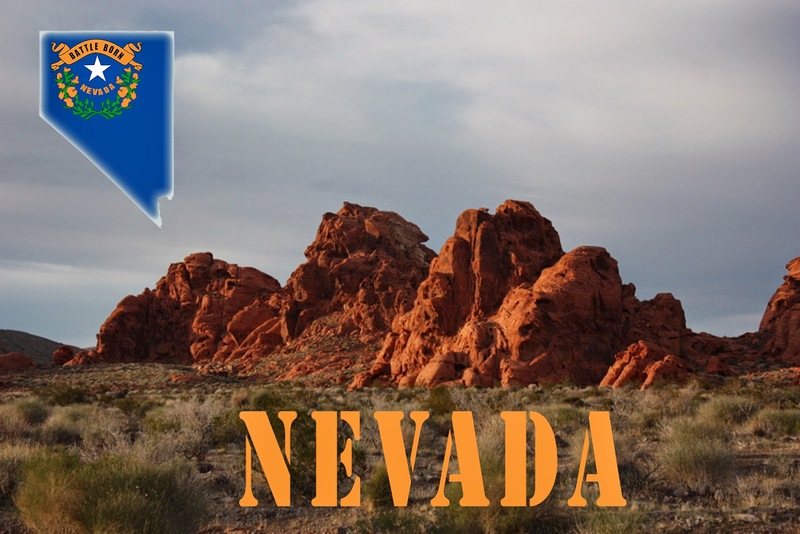 Hence the words “Battle Born” have appeared on the Nevada state flag since. The postcard was made by VistaPrint with one of my photos taken on November 27, 2011.